Access to Asia is a Framework for Building International Business Relationships and Becoming Culturally Relevant on the Global Stage. 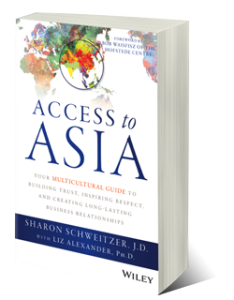 This practical and strategic guide delves into the nuances of intercultural relationship building and international etiquette worldwide, in the U.S.A. and in 10 Asian countries. Sign up for our newsletter to get your FREE chapter!